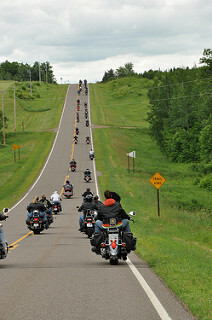 Summer is on the way, and the warmer temperatures mean motorcycle riders are hitting the road in greater numbers. Sharing the road is more important than ever, and all motorists need to make safety a priority. Mosaic Insurance wants to remind Prescott riders of some important steps they can take to protect themselves on the road. Intersections: Intersections are dangerous places--especially for motorcycle riders who can be overlooked by drivers. Reduce speed, use turn signals, obey traffic signs and make sure drivers see you when you’re approaching an intersection. Be Visible: Most motorcycle accidents that occur involve motorists that “never saw” the rider. Cyclists should never trust that a motorist sees them, so it’s of paramount importance that they make themselves as visible as possible. Consider riding with headlight on, wearing bright or reflective clothing, using turn signals and avoiding blind spots. Make Sure They See You: One more step motorcyclists can take to be sure they are seen is making eye contact with other motorists prior to changing lanes, entering an intersection or pulling out into traffic. Protective Helmet: Regardless of whether or not there is a law requiring it, wearing a helmet can mean the difference between life and death. Statistics show that helmets save lives and prevent catastrophic injuries. Ride Sober: Riding under the influence of alcohol or drugs is not only illegal, it’s extremely dangerous for motorcyclists and others on the road. Don’t become a statistic. Maintenance: Make sure your bike is in proper working order before you hit the road. Check turn signals, brakes, tires and lights. If you notice any potential issues, take care of them before you ride. Before you hit the road, let the professionals at Mosaic Insurance, your one-stop insurance agents in Prescott, review your motorcycle insurance policy. We can help you get the best policy to fit your needs and budget. For a free quote, call 928-458-7374.